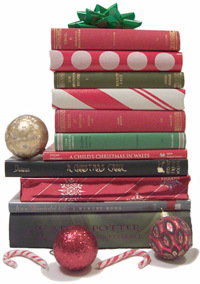 The December 2011 batch of Early Reviewer books is up! We’ve got 89 books this month, and a grand total of 2,395 copies to give out. The deadline to request a copy is Monday, December 19th at 6 p.m. EST. Eligiblity: Publishers do things country-by-country. This month we have publishers who can send books to the US, Canada, the UK, Israel, Australia, and a bunch more. Make sure to check the flags by each book to see if it can be sent to your country. 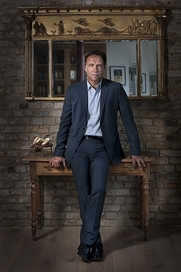 We’ve got a special mid-month author interview with Anthony Horowitz, the author of the popular Alex Rider series of books as well as several popular UK television series and mini-series, including “Foyle’s War,” “Midsomer Murders,” and “Poirot.” Anthony’s latest work is The House of Silk, a new Sherlock Holmes adventure published last month by Mulholland Books. I had two concerns. The first was that, with so much Sherlock Holmes around—the Robert Downey Jr. films and the very successful TV series on BBC—I might be seen as jumping on a bandwagon. Also, I have my doubts about this rash of prequels, sequels and add-ons that are appearing. Are they just a cynical way to sell books? I agreed only because I love Sherlock Holmes and couldn’t resist the idea of moving into 221b Baker Street for a short while. I knew I could write a good book. I knew I would enjoy writing it. In short, I couldn’t resist it. What sort of research or preparation did you do before you started writing? I began by re-reading the entire canon, which didn’t take long. There are only 56 short stories and four novellas. I have to say that it was great to have an excuse to immerse myself once again in Sherlock Holmes. I then read a couple of books about nineteenth century London which helped me decide on some of the locations. The plot for The House of Silk came very quickly. I actually started writing it a week after I signed the contract … the prologue and chapter one, anyway. That was how I found my voice. Did you find any aspect of writing The House of Silk particularly challenging (or particularly easy)? The biggest challenge was to stretch the very elegant but fragile structures of the original Doyle novels to the 95,000 words demanded by my editors. I overcame this by effectively writing two short novels&dash;The Man in the Flat Cap and The House of Silk&dash;and intertwining them. I never use the word “easy” about writing but I have to say that I loved writing the book and that an awful lot of it seemed to fall into my lap. It took four months&dash;half the time of an Alex Rider novel. What do you think it is about Holmes and Watson that makes them such wonderfully lasting characters? It’s their interdependence. Doyle’s genius was to create a character who is cold, aloof, irritating, an occasional drug addict, a man who never reads fiction and knows nothing about philosophy or politics … and to partner him with a warm, affable, civilized, intelligent and totally loyal doctor. We read the books for the atmosphere and for the mysteries but above all because this is the greatest friendship in literature. Do you have a favorite Sherlock Holmes story? If so, which, and why? My favourite story is “The Dying Detective” (which takes place three days before The House of Silk begins). It’s a chamber piece. There’s no detection and no actual crime. But it’s a great duel of wits with a memorable villain and a startling denouement.